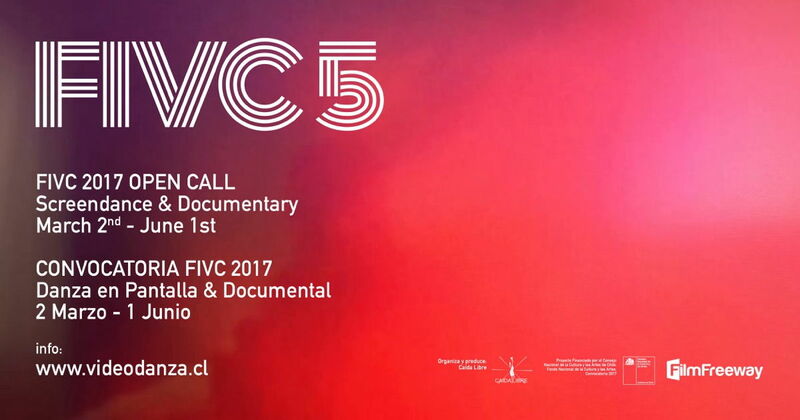 From March 2nd to the June 1st, you can apply your work on Screendance and Documentary, for the 5th version of FIVC. Later, you can do it through Late Deadline. FIVC is the Screendance Festival of Chile! ...So we will begin to showcase the official selection of the Festival 2017 in Santiago, then travel to at least 3 cities of our country! FIVC does not believe in borders! That is why, through its FIVC ON TOUR program started almost 10 years ago, the selected works will participate in new exhibitions! For the first time, FIVC requests a nomination fee, but this fee is not for us, but for you! The Chilean artists, residing in any country of the world, or immigrants residing in Chile, ARE EXEMPT OF THE SUBMISSION FEE. The Chilean works, selected in the Official Exhibition FIVC 2017, will receive a fee for copyright, with external resources from FilmFreeWay. Get to work!... we're anxious to see your movie!